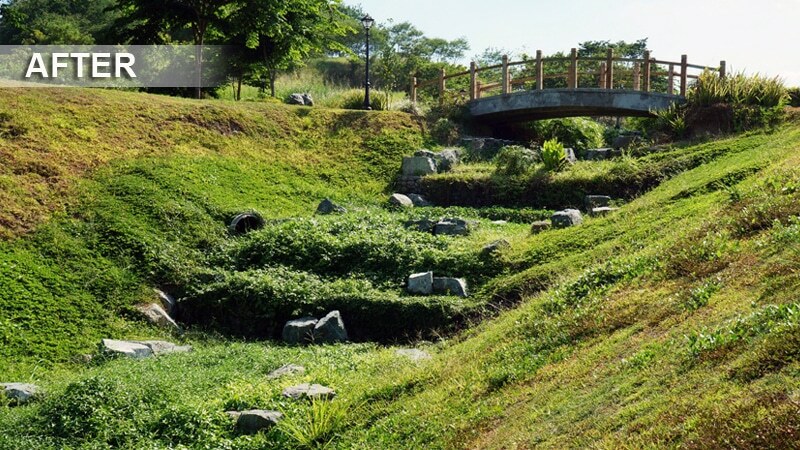 Very often, construction can mean removing vegetation, altering the landscape and/or covering previously vegetated areas with roads, driveways or buildings. 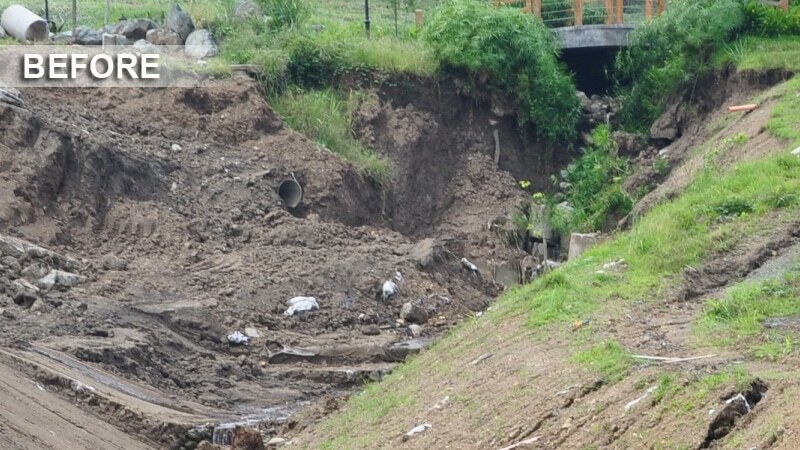 These changes often cause erosion and sediment deposits, which can lead to a multitude of problems. 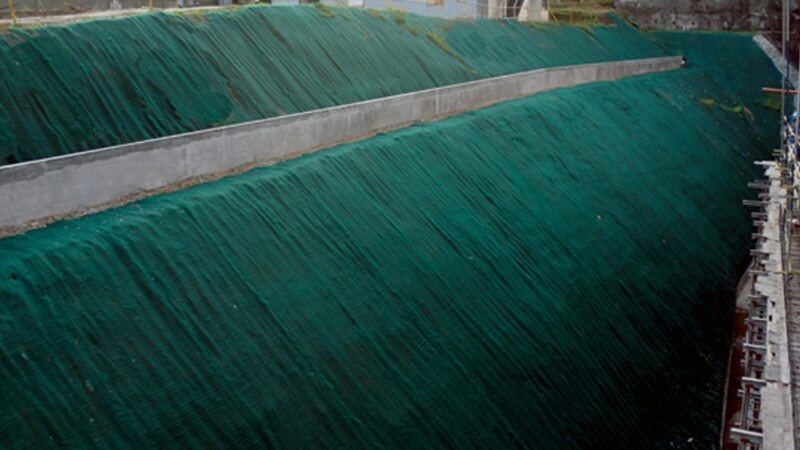 Erosion Control Blankets (ECBs) immediately prevent erosion and help vegetation get established. 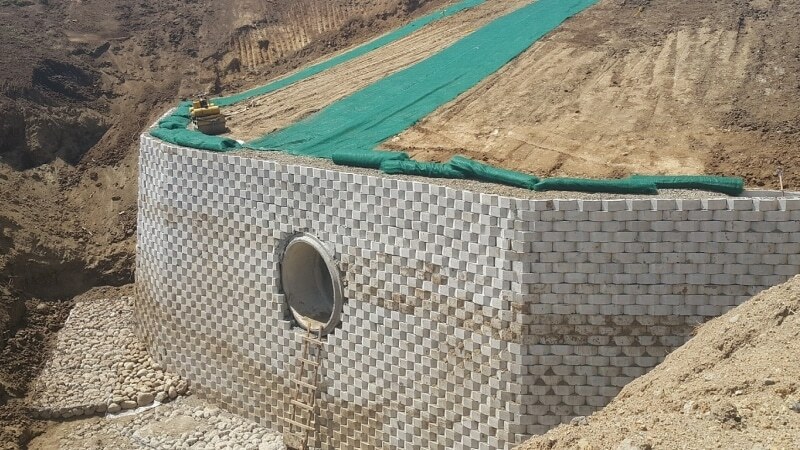 These products come in range of weights and materials to accommodate low to high flow channels, moderate to severe slopes and short term to permanent erosion control needs. 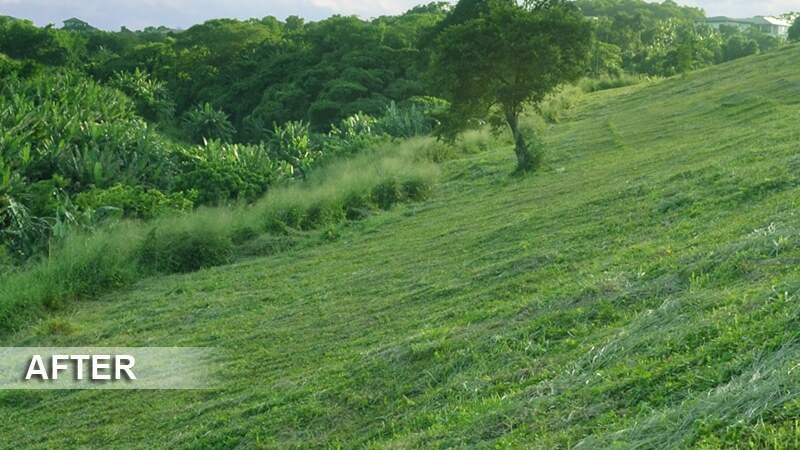 P300 is a machine-produced permanent turf reinforcement made up of 100% stable polypropylene fiber. 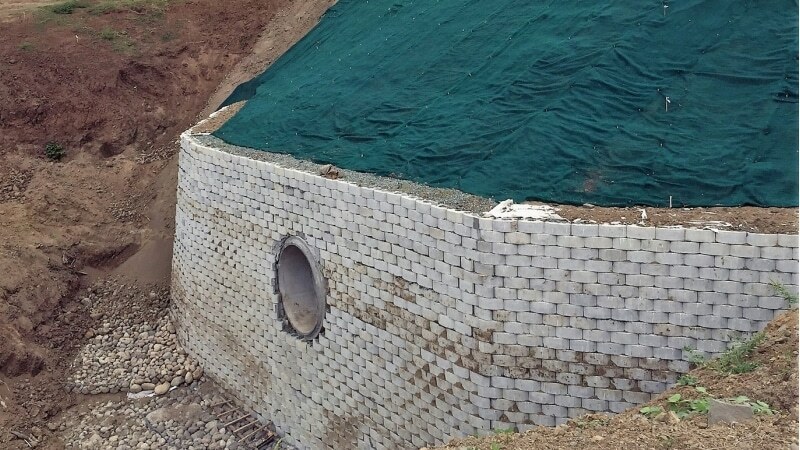 The matting is covered on the top side with black heavyweight UV stabilized polypropylene netting with ultraviolet additives to delay its breakdown. 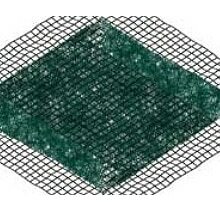 The bottom net is also a UV stabilized polypropylene. All mats are manufactured with colored non-degradable thread stitched along both outer edges as an overlap guide for adjacent mats. P300 is use on high-flow channels with 1:1 slope. 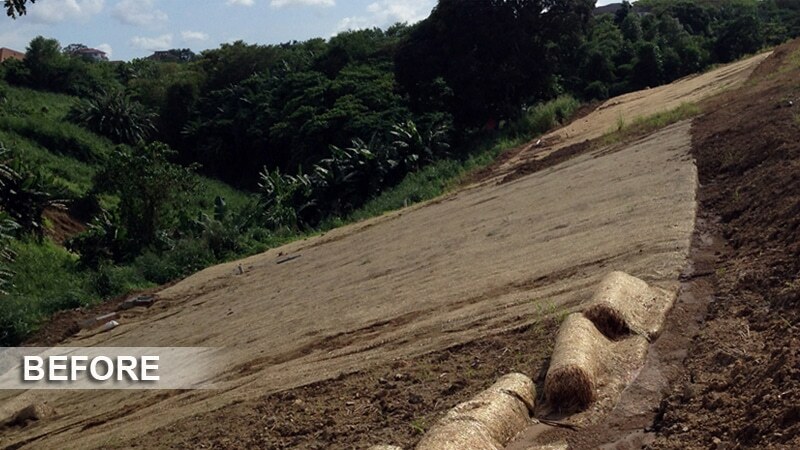 SC150 is a machine-produced extended-term double net erosion control blanket made up of 70% agricultural straw and 30% coconut fiber with a functional longevity of up to 24 months. The blanket has a consistent thickness with the straw and coconut evenly distributed on the area of the mat. The blanket is covered on the top side with heavyweight photodegradable polypropylene netting having ultraviolet additives to delay breakdown, and on the bottom side with lightweight photodegradable polypropylene netting. All mats are manufactured with colored non-degradable thread stitched along both outer edges as an overlap guide for adjacent mats. SC150 is use on medium-flow channels with 2:1 to 1:1 slopes. 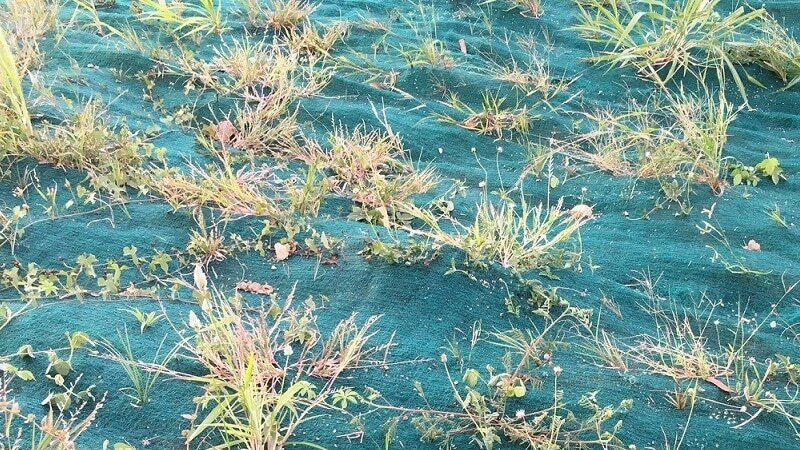 P550 is a machine-produced composite turf reinforcement mat (C-TRM) made up of 100% UV stable polypropylene fiber matrix incorporated into permanent three-dimensional turf reinforcement matting. 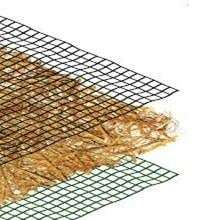 The matrix is evenly distributed across the entire width of the matting and stitch bonded between an ultra-heavy duty UV stabilized netting, an ultra-heavy duty UV stabilized, dramatically corrugated intermediate netting, and covered by an ultra-heavy duty UV stabilized netting. The middle corrugated netting forms closely spaced ridges across the entire width of the mat. 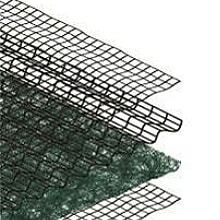 The three nettings are stitched together with UV stabilized polypropylene thread to form permanent three dimensional turf reinforcement matting. All mats are manufactured with colored thread stitched along both outer edges as an overlap guide for adjacent mats. P550 is use on extreme high-flow channels with 1:1 and greater slopes.